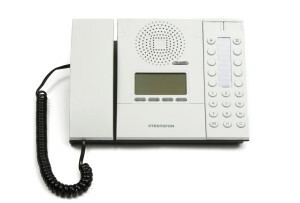 Small to Medium IP Intercom Simple to integrate and expand, Based on STENTOFON’s IP technology, STENTOFON Pulse offers High Definition voice quality, simple installation and ease of use. The IP-based system works by utilizing an existing IP network infrastructure. It employs open standards including SIP, HTTP and XML, making it simple to integrate and expand with third-party systems. Reduce installation time and cost STENTOFON Pulse provides a smart and simple interface that reduces installation time and cost. To install Pulse, one station is selected as the primary station or system master. This master station provides SIP sever functions to the other stations in the system and optionally any third-party IP telephones and gateways. Depending on the number of stations in the system, basic installation can be completed in less than 10 minutes.